For many home seekers out there, always consider if the house and lot you’re going to buy is everything you want. Your choice of house may have your dream pool, your dream balcony, and even that wine cellar you’ve been wanting since you were 21. But is the house in the right location? Is it located on the peaceful and lush mountains in your dreams, or is it in a common suburban area near a noisy bustling city? For all you know, Denver luxury real estate might be the one for you. So before you end up buying a house which you think is your dream home, let Mile High Home Pro help you with these pre-buying tips. If a real estate agent shows you pictures of houses to choose from, don’t get fooled by the lavish furnishings. Instead, ask for floor plans. While photos could show you what it’s like inside the house, it’s critical to know if the house is not just aesthetically pleasing, but also functional. By looking at the floor plans and knowing the house layout, you will have an idea if the room positions suit your lifestyle or daily routine. Is the comfort room close enough to the living room the way you want it to be? Is the master’s bedroom really big or is it just an illusion made by the camera angle? Knowing the floor plans decreases the risk of regretting spending money on the wrong house. Luxury homes for sale in Denver say upfront what makes them different from other houses: the word “luxury.” Unlike ordinary houses, luxury homes require a certain type of upkeep – an expensive one. For one, most luxury properties boast of their size, and a larger house means having a big space to cover when cleaning. Certain materials used to build or furnish the house require maintenance such as keeping wooden cabinets and ceiling beams varnished and termite-free. Most houses come with large gardens and swimming pools that also need attention. So before picking a house, make sure that you are up to the challenge of sustaining the house’s needs. Choose the neighborhood, not just the house. Remember, this is the place where you are going to live. Ask yourself: Does the place fit your lifestyle? Not to stereotype, but it is clearly recommended for a person who wants a fast-paced life to live in the city, as it is recommended for nature-loving and serenity-seeking hikers to live in developed rural areas such as homes for sale in Denver, CO. Problems could arise when you realize that your new crib is nowhere near any jogging place where you could do your routine cardio exercises. As you wouldn’t consider buying a house you can’t afford, you have to consider if you have enough budget to cover not just the buying expenses, but also the post-buying expenses. Do you have plans to remodel the house or buy new furniture and appliances? It doesn’t hurt to think a little bit ahead of time. If the house you want to buy is still under construction, consider this: Will the house be finished before you need to move out of your former place? The building timeline can have multiple effects. It can affect time-bound aspects of your life such as your children’s school transfer, or if you have to change jobs due to house moving. Choose the house and neighborhood you think you belong with. Does the house speak to you? Do you see yourself still living in it for the next 10 years of your life? No matter how beautiful a house is, it cannot compensate for your lack of satisfaction. If the neighborhood you choose and the house you bought do not match your lifestyle and personality, living the dream would be living the nightmare – it won’t make you happy in the long run. Hopefully, you will make a better decision on home buying, and check out Denver luxury homes for sale after reading the tips above. 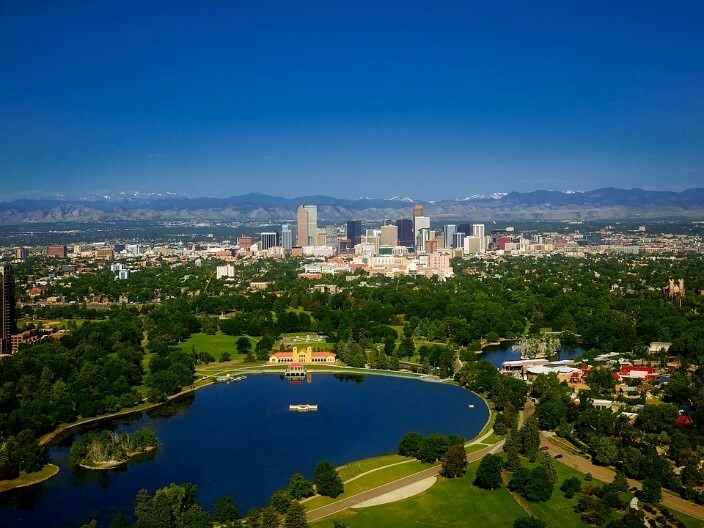 If you still need more help, do not hesitate to consult with a reliable Denver real estate agent.